An interesting fact about our daily lives is that we tend to spend our summer vacation on the beach, even if we live in a place where it is warm all year round. 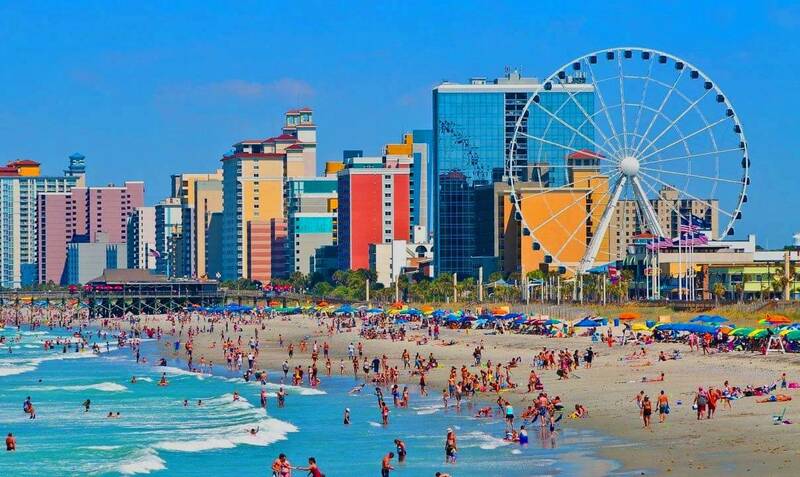 Myrtle Beach is one of the top resorts in South Carolina with 60 miles of beaches stretching along the Atlantic coast. It has everything you would expect from a resort, sandy beaches, arcades, themed restaurants, gift shop and amusement parks. It’s great to travel to places like this with a group of friends, but making sure all of you arrive at the same time sometimes causes difficulties. It definitely won’t be a problem if you order an overnight bus tour from Mayflower for your whole company. Resting on the beach and sunbathing can get boring pretty soon, so adding different activities into the mix will help you get the most of your summer vacation. First of all, Myrtle Beach offers a number of water sports, such as deep-sea fishing, jet skiing, and kiteboarding. You can also play different ball games on land, staying close to water. The most popular place is Broadway at the Beach, an entertainment and shopping complex. There are so many activities here for people of all ages. Amusement rides, a playground, stores where you can find unusual items for yourself, your home or your pets, cafes, firework shows, a sports bar, a pool, you can even feed the fish and who doesn’t like that. Right beside Broadway, there is Wonder Works, a hands-on science exhibition with over a hundred displays and a 6D motion ride. There are other attractions around Broadway at the Beach, such as Ripley’s Aquarium and Believe it or notAquarium museum, Dragon’s Lair Fantasy Golf, Dinosaur exhibition, Backstage Mirror Maze, Escape rooms, and yet another amusement park with zip-lines and rope courses. You can come here every day of your vacation and you will find something new to explore. Myrtle Beach SkyWheel is a 187 ft tall Ferris wheel located right beside the SkyWheel Myrtle Beach. It opens a great view of the Atlantic Ocean on one side and the city, on the other. At the time of its opening in 2011, it was second tallest in North America, but since then it skipped to seventh place with the tallest one being High Roller in Las Vegas. SkyWheel is one of the highest rated places in Myrtle Beach. And what summer beach vacation would be complete without a sinner in a seafood restaurant, such as Pier 14. There are plenty of those in Myrtle Beach.